New Delhi [India], April 8 (ANI/NewsVoir): OYO Hotels & Homes, South Asia's largest, and the world's fastest growing chain of hotels, homes, and spaces, has partnered with the 16th season of Roadies, India's longest running reality show. New Delhi [India], Mar 9 (ANI): A recent survey of over one lakh micro, small and medium enterprises (MSMEs) shows that 332,394 net jobs were created over the past four years, registering an increase of 13.9 per cent over the employment base four years ago. New Delhi [India], Jan 8 (ANI): Glion Institute of Higher Education, a world-leading hospitality management institution with campuses in Switzerland and the UK, is launching a new set of online certificate courses, available from March 2019. Gurugram (Haryana) [India], Dec 29 (ANI): The Haryana government has authorised the state police to investigate the land deal case against former Chief Minister Bhupinder Singh Hooda and UPA Chairman Sonia Gandhi's son-in-law Robert Vadra. Hilton to open a hotel in Bengaluru by 2021. 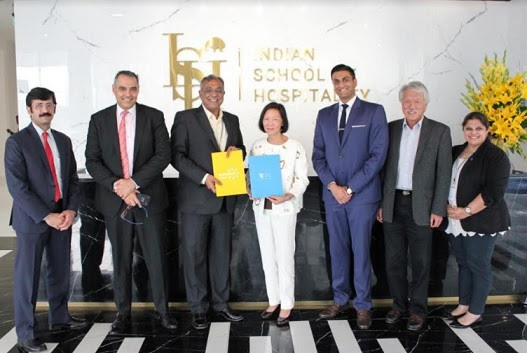 Bengaluru (Karnataka) [India], December 16: Global hospitality chain Hilton signed an agreement with KalyaniHospitality Pvt. Ltd to open a hotel "Double Tree" at the city's commercial micro-market Whitefield by the first quarter of 2021.